Attorney General Jeff Sessions just took a major step in that direction. Attorney General Jeff Sessions, who once declared that “good people don’t smoke marijuana,” is rescinding an Obama-era policy that allowed state-legalized marijuana to go unhindered by federal intervention. Implemented in 2013, the so-called Cole Memo directed the federal government not to impede states in allowing the sale, distribution, and use of state-legalized marijuana so long as the federally-prohibited substance was kept away from criminals and minors. But now the Department of Justice is set to abandon the policy. Eight states and the District of Columbia have legalized marijuana for recreational use. Sessions, a longtime foe of weed, had been expected to crack down on legalized marijuana across the country before he was even confirmed as Attorney General. But after nearly a year as the country’s top law enforcement official and no major actions taken against states that had legalized the substance, it would have been easy to think that drastic changes to federal policy weren’t in the cards. 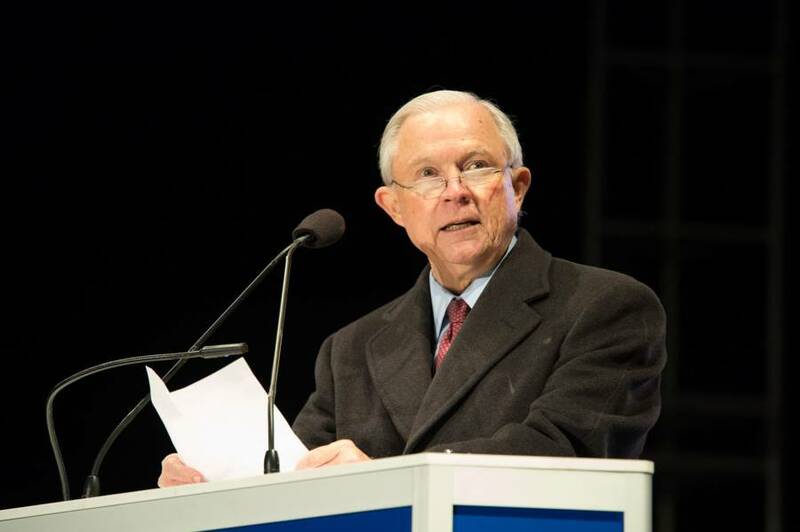 However, late last year Sessions made some of his most aggressive statements yet, reiterating his belief that “the use of marijuana is detrimental and we should not give encouragement in any way to it.” The attorney general said that meetings were taking place to determine the future of federal marijuana policy vis-à-vis states that had legalized the drug in a recreational capacity. A states’ rights advocate, Sessions’ stance that the federal government should discourage or target states that have legal recreational marijuana seems curious. However, it is in line with what many conservative Republican lawmakers have said on the issue. The attorney general’s position on state-legalized marijuana stands in contrast to that of President Trump, who said on the campaign trail that the matter should be left up to the states to decide. It is unclear what directives the Justice department will give or measures it will take in an effort to combat the growing momentum behind nationwide efforts to legalize marijuana, which 64% of Americans support. The lack of clarity comes from Sessions’ own memo announcing the new policy. Asked by reporters if the directive would lead to prosecutions, representatives from the attorney general’s office were noncommittal. Actions could range from leaving it up to federal prosecutors to bring federal charges against people and companies in violation of federal but not state drugs laws, to directing raids on dispensaries and growing operations. Next, see 28 ridiculous examples of anti-marijuana propaganda through the years. Then read about the marijuana company that bought a town to create a pot paradise.